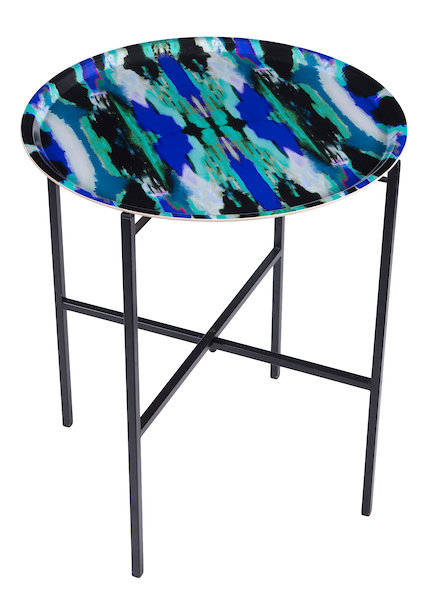 Luxury fold away tray table featuring the Zesty Ikat print, an abstract take on the traditional ikat print designed by Mariska Meijers. Ideal for city living where space comes at a premium but also great for outdoors on the balcony or in the garden. Made in Scandinavia. The Zesty Ikat pattern is available across our interior collections. Ø45 x 53 cm / Ø18" x 21"